Colectica® is the fastest way to design, document, and publish your statistical data and survey research using open data standards. The Colectica Platform is an ideal solution for statistical agencies, survey research groups, public opinion research, data archivists, and other data centric collection operations that are looking to increase the expressiveness and longevity of the data collected through standards based metadata documentation. In just a few focused days, learn how to adopt open data standards in your organization with our training courses. We have years of experience creating software and data documentation based on open data standards. Put us to work for you. A new version of Blaise Colectica Questionnaires is now available. This major update includes new item types and collaboration functionality. Colectica today announced the availability of Colectica 5.4, the latest enhancement to the world's most popular data documentation software based on open standards metadata from the Data Documentation Initiative. 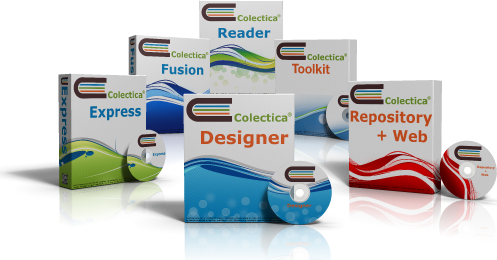 The new release of Colectica provides the most stable, accurate, standards compliant, and enterprise ready research data documentation software available. The support for DDI, ISO 11179, GSIM, and the GSBPM found in Colectica 5.4 are based on research community best practices from Colectica users in countries around the world. Colectica is pleased to announce that its staff were selected to give several presentations at the upcoming European DDI Users Conference (EDDI) in Lausanne, Switzerland. Each year, Colectica sends representatives to the EDDI conference to share ideas and consult with other users of standardized data documentation. This year, Colectica staff will present five papers and teach a whole day workshop.